With the current economic crisis and the resulting recession more and more people are finding themselves out of work or feel uneasy about their job security, and if you don’t have any formal qualifications you may struggle to get employed, if you find yourself out of work. So what can you do about it? In a word “training”, now more than ever is it important to get the right training and qualifications to enable you to have the right skills to secure a job or become self employed. You’ll need something that sets you apart from the rest of the crowd, so whatever career you choose get trained up! 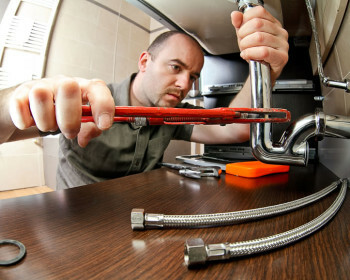 There are many reasons why you might want to retrain as a plumber, one of which is the fact that there is still a shortage of trained plumbers in the UK and as a result of this their services are in high demand so you shouldn’t find yourself short of work. Another reason is that due to the high demand/shortage of trained people plumbers are well paid, of all the trades plumbers are one of the top earners. Another reason is that should you decide to work for yourself, you can pick and choose the hours you work and have no boss to answer to. Perhaps the most important reason is the fact that once trained and qualified; you’re a plumber!… nobody can take that away from you. It’s one of the few “jobs for life” that are left these days. 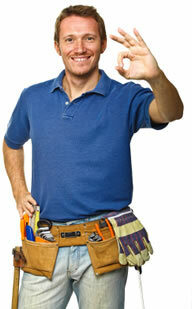 How to get retrained as a plumber? Well I’m assuming that if you’re reading this article titled “How to Retrain as a Plumber?” then you’re not just out of school (the reason being that if you are a school leaver you may be better off trying to get an apprenticeship). Fortunately there are now some excellent training centres around the UK that are purpose built for the building trades, you can enrol on these courses without any formal qualifications and you can either take an intensive full time course lasting anywhere from 4 – 8 weeks or spread it over a period of many months(years?). Most importantly these training courses will get you trained up to City & Guilds industry standards and you will be ready to enter the workplace as a plumber. Sounds good, right? Well the only thing is that these courses are not what most would call cheap, normally costing anything from £4000 – £6000 however you should really put this cost into the perspective of what becoming a qualified plumber is going to bring you the rest of your working life. Er, yes you’re going to want to make sure that whatever training centre you sign up with is City & Guilds accredited, that way you know you’ll be getting quality training. Another thing is that once you have completed these courses you’ll have a City & Guilds Plumbing Certificate and all the technical & practical knowledge you need, but there is another small hurdle to get “fully qualified”, this being a Plumbing NVQ Level 2 which you get by getting assessed on the job by a NVQ assessor who will come out and visit you at a place of work. Ask your training course if they can help you in getting work to gain the NVQ. That’s about it, I hope this article helps you in making the right decision for you. All in all being a plumber is a very rewarding career and one where there is a clear roadmap for anybody willing to do the training to become one, good luck.